Marie’s mother died protecting something, but what? Determined to find answers, Marie is prepared to go to any length to locate her mother’s legacy, even to pursue the man responsible for her death – Black Vane. 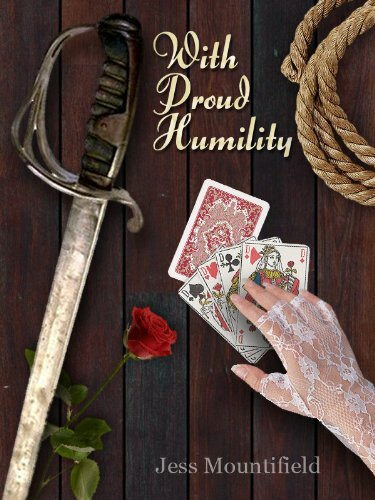 No price is too dear to Marie, who gambles everything on a marriage of convenience to a ship’s captain she knows she can’t trust, but who may be one ally she needs. This is a historic story of romance and adventure, set on the Caribbean seas of the early 1800′s, a tale of betrayal and sacrifice in pursuit of an unknown goal. Oh, yes! Yes, I really enjoyed reading this novel! It’s light, really fun, adventurous and stylish, and at times frustrating. Like the last few pages, where Marie and Hayes are sort of dancing around each other with much politeness, so much politeness in fact they’re totally missing the point for a while. While reading I was almost screaming “Just talk to each other, damn it!”. Let’s take things one at a time. The style of writing is more on the traditional side; I enjoyed it, and it’s wonderfully suited to the time period the story takes place in. The story itself is wonderful, really dynamic, full of fun action, and at times very tense, either on a sandy beach turned battle field or in a Captain’s cabin (especially in the Captain’s cabin…*sigh*). The plot is elaborated enough to keep you guessing all the while, but not so much so that it engulfs and overshadows the characters. This is something I highly appreciate in any form of writing; action is good, but character is much better, in my opinion. I will however add one thing: this would have been a total 5 butterflies novel (I think I’m going to become famous for these words, I keep on saying them over and over again, don’t I? …), if the sentences would have been built just slightly differently. By this I mean, there are some pages where despite the fact that the focus is on Marie, and it doesn’t change, her name appears again and again in relation to whatever it is she does, thinks or feels. It seems a bit script-like in such moments and it takes from the beauty that could have been achieved, I think. As is, it was more of 3 and a half then a 4 butterflies, but I decided I enjoyed all other elements too much to make it a 3 rating. It was a very fun read, completely suited for younger audiences; no gore, no viral violence despite the conflicts that emerge, no mature content. And, it has a beautiful cover, that I totally loved! I recommend this beautiful novel to everyone that loves adventures with spunky Ladies and charming ship captains, and historic fics of any kind. Give it a read, I’m sure you’ll be glad you did!